Madness were formed in 1976 and continue to perform to sell-out audiences across the UK. 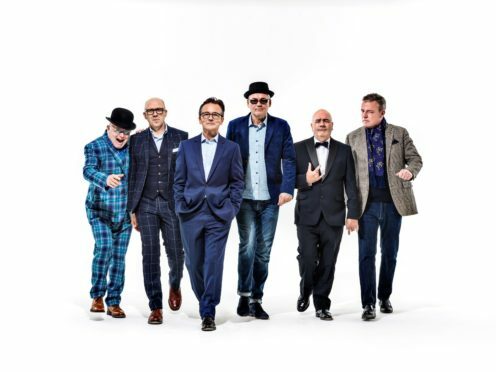 Organisers of a 1980s music festival in Dundee say they expect a “great response” to the concert, despite competition from ska legends and fellow 80s survivors Madness, who are performing just 30 miles away. ABC, Hue and Cry, Midge Ure, Go West and China Crisis will all take to the Slessor Gardens stage as part of DunDee 80s on Saturday, August 24. Meanwhile Madness will be performing at East Links in Montrose on the same day. Madness were one of the biggest bands of the 1980s and performed a massive gig at Montrose in 2015. Thousands of fans are expected to descend on the Angus town for their return as part of the Live at the Links event. Tickets for the Madness concert are already on sale while those for DunDee 80s, which was just announced on Tuesday, will go on sale on Friday. It will be the third open air concert in Slessor Gardens this summer, folllowing on from performances by Craig David and legendary Welsh singer Sir Tom Jones. Company founder Liz Hobbs added: “We’re thrilled to announce yet another music offering to Dundee, and we are certain DunDee 80s is going to prove a huge hit with fans who not only remember the artists the first time around but also newer fans who embrace the retro revival, or just want to enjoy top tunes in a spectacular summer setting. Nobody from LCC Live, who are promoting the Madness and Jess Glynne concerts in Montrose, was available for comment.